A colorful variety of musical styles make basic addition and subtraction facts easy to learn. The songs strike a balance between problem solving and memorization with an emphasis on developing mathematical thinking skills. Each song focuses on a skill or problem solving strategy including counting forward and backward, adding and subtracting one, doubles facts, doubles plus one, skip counting, combinations that equal ten, and fact families. By learning key strategies children can quickly answer basic facts through reason and logic while developing a deeper understanding of mathematics. Ultimately, the strategies help children memorize the facts. This album is useful for a wide range of ages from pre-school to third grade. The songs are designed for both group and individualized learning. They are effective in a variety of situations from one child in the home or car to a school classroom setting. Research indicates that children need to actively engage with mathematical concepts early to build a strong foundation for later math learning. Research also indicates that music engages children's brains and stimulates neural pathways associated with higher forms of intelligence like abstract thinking and mathematics. So imagine what happens for children when math and music are intentionally combined! (Madison, WI) and creator of Math at Play – Review by Judy Ballweg, Preschool Resource Teacher, Madison Metropolitan School District (Madison, WI) and creator of Math at Play. Join Hap Palmer to Count, Add, Subtract! Hap Palmer has the magical gift of making learning fun - and setting it all to music. On his latest CD, Count, Add, Subtract! Fun With Math, Music, and Movement, Hap combines hip songs and fun games to make addition and subtraction come alive for children. Using a colorful variety of musical styles - jazz, country, Latin, hip-hop and rock, Hap, a pioneer in the use of music and movement in learning, makes math easy to grasp. By blending clear, simple lyrics with memorable melodies, math is transformed into an engaging challenge as each song focuses on a specific skill. Children count forward and backward, add and subtract one, learn the doubles facts, and easily move on to doubles plus one. They skip count by 2's, 5's and 10's. They find combinations that equal ten, and then learn the ten plus facts. Jumping in a triangle path, children see the relationship of addition and subtraction: 5 + 7 = 12 and 12 - 7 = 5. One of the hallmarks of a Hap Palmer album is the outstanding production. Hap's arrangements, the variety of instruments, the strong vocals and delightful children's chorus are all front and center in this celebration of math. He flawlessly merges the subject matter with the music to give us math you can actually dance to. A booklet with song lyrics is included with the CD. A complete teaching guide, available free at www.happalmer.com, describes fun games including "Beanbag Toss to Twenty" and "Doubles Partner Dance." Hap's recordings and videos have received numerous honors including the Parents' Choice, American Library Association Notable Children's Recording, National Association of Parenting Publications, Earlychildhood NEWS Directors' Choice and American Video awards. "I like how this product can be used with a variety of ages and how it balances memorization and problem solving skills for mastering the basic addition and subtraction facts. The music and songs are appealing and diverse ~ not too babyish. It's great to incorporate music and movement into facts practice!" "My name is Jaime and I am a stay-at-home mom to three kids and a certified teacher. I love using music when teaching, especially with math. I found this CD to be up beat and had very good rhythm. We enjoyed the rhyming and felt it was an awesome CD for those learning how to count." "Is there anybody better than Hap Palmer's teaching through catchy songs, clever techniques, and doggone good fun, I ask you? If I had his CDs when I was a kid I would have been out of elementary school in three years tops…wait, they didn't have CDs then only papyrus scrolls. Be that as it may, gobble this terrific teaching tool up and share it with your children before Hap Palmer is stuffed and put on exhibit as a national treasure in the Smithsonian…Just saying!" Hap Palmer is an educator, a musician, and an innovator in the use of music and movement to teach skills and encourage imagination in children. His recordings and videos have received numerous honors including the Parent's Choice Award and the National Parenting Publications Award. We listened to and reviewed Hap's new CD, Count, Add, Subtract! Fun with Math, Music, and Movement. It contains a colorful variety of musical styles. You won't mind listening to it for hours in your car, and you'll probably find yourself singing along! The CD helps make learning basic addition and subtraction facts a breeze. The songs strike a balance between problem solving and memorization with an emphasis on developing mathematical thinking skills. They're fun and educational! Each song focuses on a skill or problem solving strategy including counting forward and backward, adding and subtracting one, doubles facts, doubles plus one, skip counting, combinations that equal ten, and fact families. By learning key strategies children can quickly answer basic facts through reason and logic while developing a deeper understanding of mathematics. 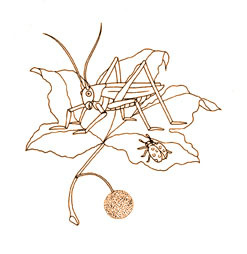 Hap has a charming website (really cute! ), where he offers MANY different CDs, DVDs, Free Lyrics and Activities, Free Coloring Pages, and Free Teaching Aid Instructions. We like and appreciate all the supplemental free items that go along with his CDs—and again, everything is so darn cute! the imagination and fuel a desire to learn. COUNT, ADD, SUBTRACT! shows Palmer in peak form. Each of these songs focuses on basic mathematics, showing kids how much fun it can be to work with numbers. The songs start basic, with simple counting, followed by an introduction to adding numbers. He employs number games like doubling numbers and skipping numbers to count in even/odd sequences. As the recording progresses, the exercises provide slightly more challenge, as they cover more examples of addition and subtraction. Palmer's warm, friendly voice is always a treat, and his arrangements feature enjoyable folk-pop melodies that urge sing along. Count, Add, Subtract! Fun with Math, Music, and Movement is an educational children's music CD grounded in the common core standards and best teaching practices supported by the National Council of Teachers of Mathematics. The sing-along songs encourage young children to practice very basic counting and arithmetic out loud. There are fifteen tracks with instructional vocals, followed by another fifteen tracks of instrumental versions (or "no-answers" versions) of the same songs. 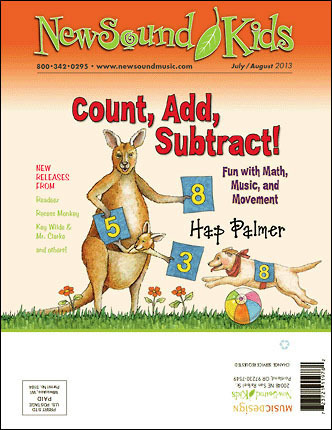 With its emphasis on building practical problem-solving skills (including the ability to quickly perform basic addition and subtraction), Count, Add, Subtract is a wonderful choice for educational or home use, highly recommended especially as an educational for kindergarten, preschool, and elementary school music CD collections. The first fifteen tracks are "Count Up, Count Down", "Naming Numbers", "One More, One Less", "Doubles Facts", "Add One To The Double", "Switcheroo", "Skip Count", "Two More, Two Less", "Ways To Get To Ten", "Ten Plus", "Make Nine Into Ten", "All Aboard To Add and Subtract", "Countin' By Twos With The Odd Numbers", "The Five Seven Twelve Family", and "Five Ate Thirteen".